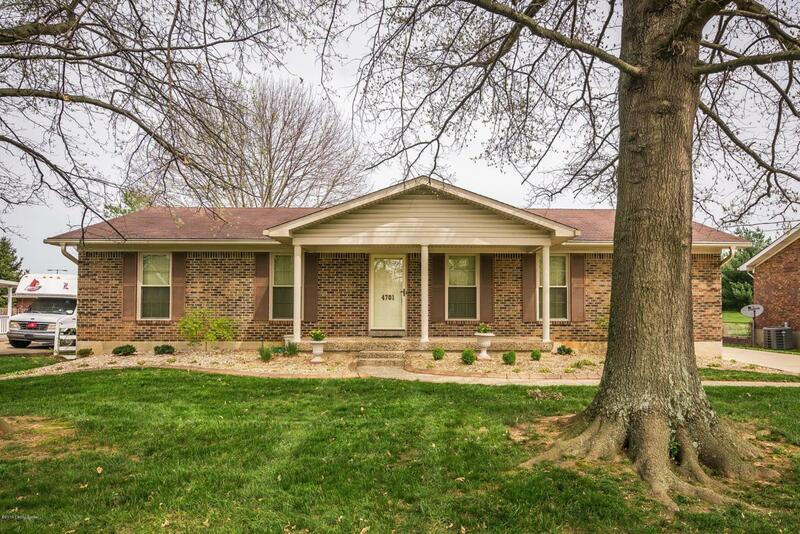 Welcome to this beautifully appointed walk up ranch home in Kingsmore subdivision off of Preston Highway. 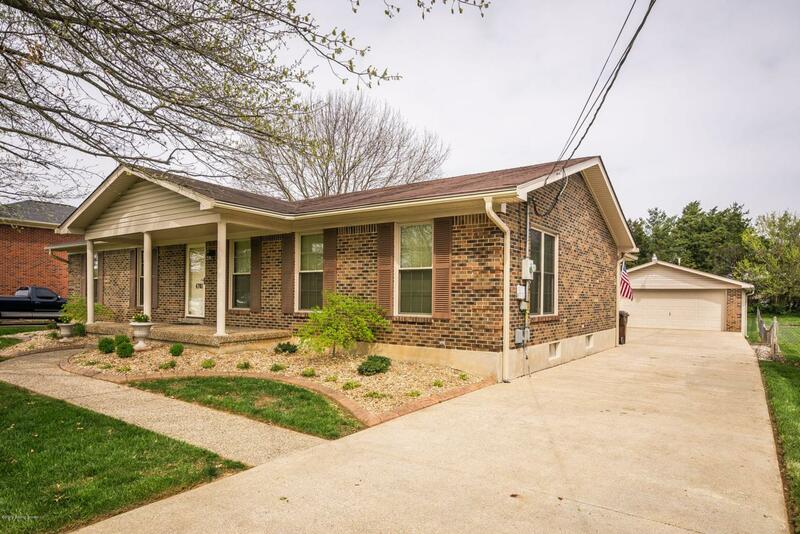 This double lot,, gardener's paradise, is close to a variety of shopping venues, churches, and restaurants, with quick access to downtown Louisville. The large covered front porch with surrounding well designed, low maintenance landscaping provides your welcome into the home. The main floor has an open floor plan with extensive hardwood flooring throughout the foyer, great room and kitchen. 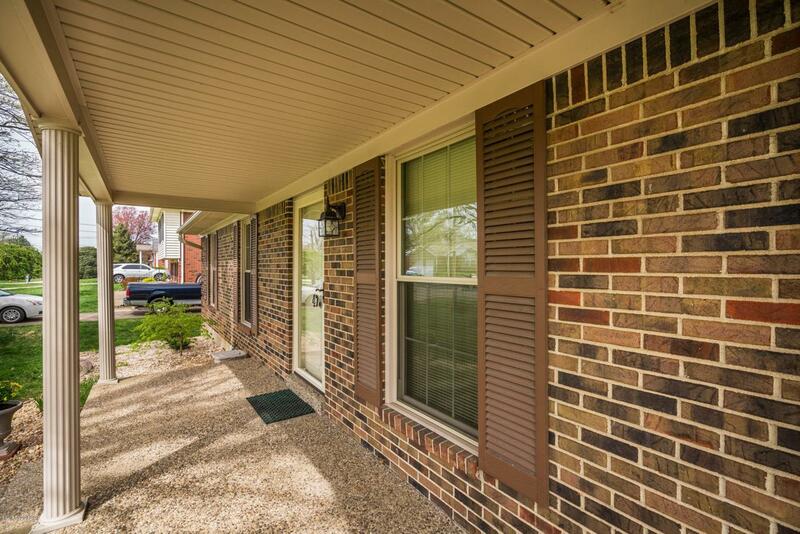 A separate living room lends a private setting, while the beautiful, brick surround, fireplace, flat screen TV and access to the large covered porch provide ample room for your next family gathering. The 1/2 wall allows for conversation between the family room and kitchen.A separate, spacious, breakfast nook looks into the well lit kitchen with custom cabinets, and all the appliances are to remain with the home. The master suite has a deep soaking tub with hand held spray and water jets, double bowled lavatories with upgraded faucets, and a glass enclosed corner walk-in shower. A second bedroom is on this level and a laundry with large soaking sink is located centrally in the home. The lower level has a large entertainment area with game room (pool table to remain), and fireplace. Open to the lower family room is a full kitchen with extra cabinetry, and again, all appliances to remain. There are two other rooms that can be used as a home office, exercise room or separate private study. The outside has a huge green space for gardening, entertaining or quiet reflection. The rear covered porch as maintenance free Trex decking, fan with light and a lovely beaded board ceiling. An over-sized double car garage, also has a second screened in porch running the entire length of the garage. Don't miss the extra storage shed behind the garage, containing a riding lawn mower, trimmer and spreader to remain with the property. 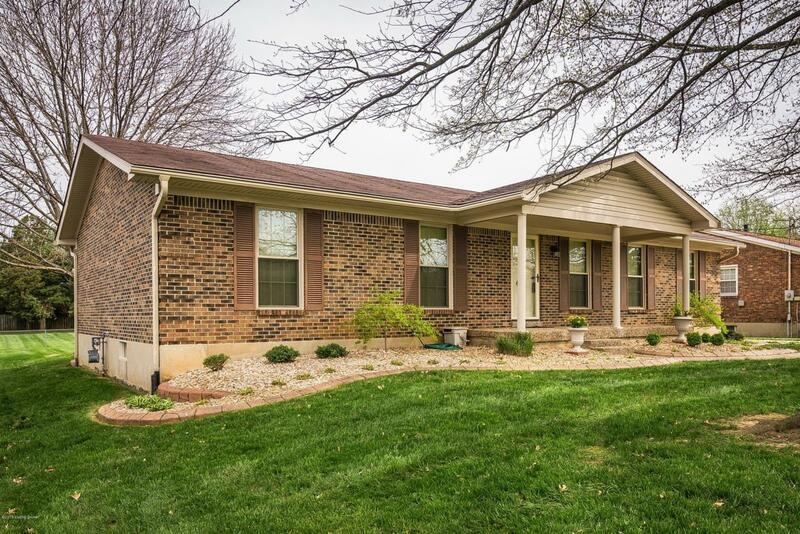 As you can see, by the pictures - there is plenty of room for entertaining, family gatherings or peaceful mornings on your back porch, in your future, as owners of this picturesque home.